Inheritance is the process where the characteristics are inherited from ancestors (super classes). 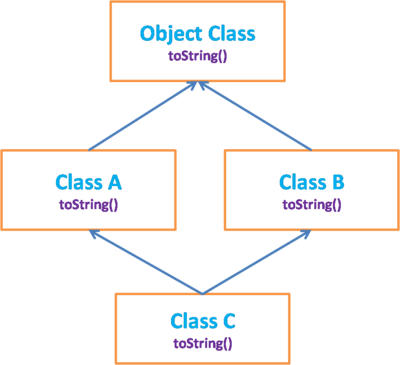 Inheritance in java can be defined as a mechanism where a new class (subclass) is derived from an existing class(super class) properties. It is possible for classes to inherit or acquire the properties and methods of other classes, just like a son can acquire some traits and behavior from his father. extends keyword used for Class to Class relationship. Child Class / Sub Class : The class that extends the features of another class is known as child class, sub class or derived class. Parent Class / Super class : The class whose properties and functionalities are used(inherited) by another class is known as parent class, super class or Base class. Most important benefit of inheritance is code reuse because subclasses inherit the variables and methods of superclass. Private members of superclass are not directly accessible to subclass, as private members' scope is only the particular class where they are declared. Superclass members with default access is accessible to subclass only if they are in same package,. Default access is nothing but the state where you donot specify Public, Private, Protected. Constructors are not inherited by subclasses. If a class is Final then we cannot inherit that class. When a single child class inherits the properties of a parent class, it is known as single inheritance. There are no other child classes present for that parent class. I have considered the Object class while writing these classes as example for single inheritance in selenium. From below image, you can understand that FirefoxBinary class extends Object class and FirefoxBinary class will have all its own methods along with inherited Object class methods. By default, if you write any class in java without writing any extends, still the single inheritance is applicable for it because all the classes in java are inherited from Object class. When a class extends a class, which extends another class then it is called multilevel inheritance. 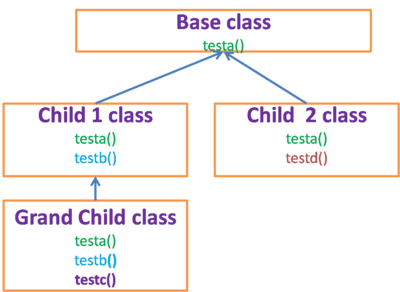 In multiple inheritance you have one path only to reach the highest class in the inheritance. Minimum three classes are required to achieve the Multi-level inheritance in java. The last sub class will have all the properties present in its super classes. 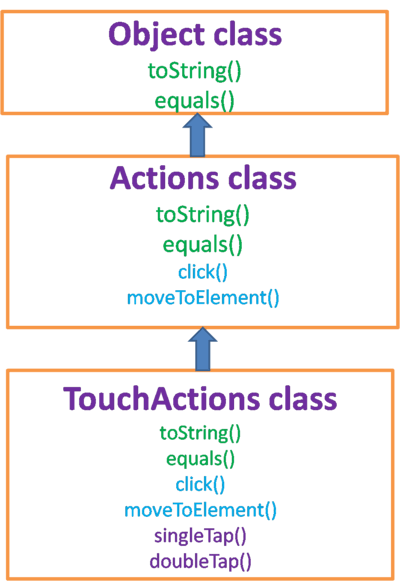 TouchActions in selenium works on the principle of Multi-level Inheritance, TouchActions class extends the Actions class and Actions class extends the Object class in selenium. Multiple inheritance is nothing but a class/interface is inheriting the properties of more than one class or interface. A class cannot inherit the more than one class because it forms multiple paths to reach the top most class from the same last sub class. This is where you need to remember that all the classes in java are subclasses to Object class. So Multiple inheritance is not possible when a class tries to inherit more than one class, if class tries so, then it creates a diamond problem. But a class can inherit one class and implement multiple interfaces and this is also called as multiple inheritance. Hybrid inheritance is the combination of every type of inheritance that exist. As java doesn't support multiple inheritance, hybrid inheritance also can't be implemented. For most of the java people the Hybrid inheritance definition is : Combination of Single level and Multilevel inheritance. Other way of saying : When two classes inherit properties from a single class then it is called Hybrid inheritance. 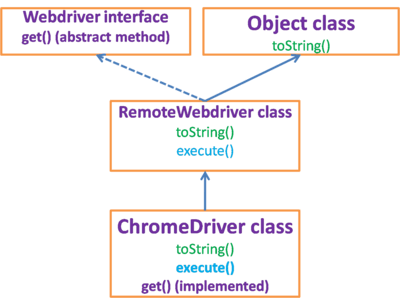 ChromeDriver class is the example for the Hybrid inheritance, ChromeDriver is inherited from the RemoteWedriver and RemoteWebdriver is inherited from the Object class this is one path and this is nothing but Multi-level Inheritance. 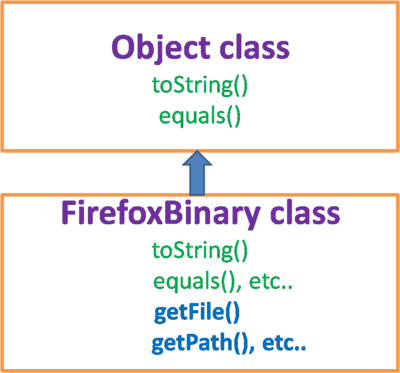 FirefoxBinary class extends the Object class this is third path also called Single-Inheritance. 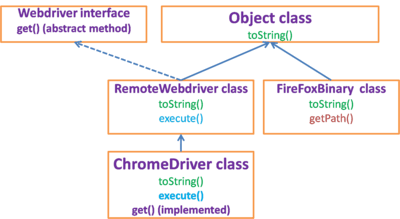 RemoteWebdriver follows multiple inheritance by implementing Webdriver and by extending Object class. The above image shows the diamond problem, let me explain the problem. 3. Class C extends Class A and class B. 4. Object class has methods called toString(). Lets create object for class C and call the toString() method, which indrectly gives call to toString() method present in the Object class. Now take moment and think, In how many ways we can reach the Object class from the class C, yes Your are right, in two ways we can reach it. Take a moment and think which is the way you are gonna use, Path 1 or Path 2 (consider you donot know the consequences of the path, good or bad). Are you able to come to conclusion ? No, okay now the same thing happens with the Programming language as well, it gets confused which path to choose like Mr.Nobody movie, the Programming language will throw an exception of ambiguity. To avoid this java Programming language author a made decision not to include the multiple inheritance. So we donot have Multiple inheritance between the classes. In My language : There are two section of school students, among them each section has a student with roll number 1224, If principal asks an attender to call a guy (one guy) with roll number 1224, whom does that attender will call ?, he cannot call any body as there are two guys with same roll number, unless he is stupid like me. Upcasting is casting a subtype to a supertype, upward to the inheritance tree. In other words, Making a child or grand child as the grand father. While creating a Object to a child class we will write Parent class type as the type for the object. We can mention the the type to which '(A)' we are going to Upcast the object. 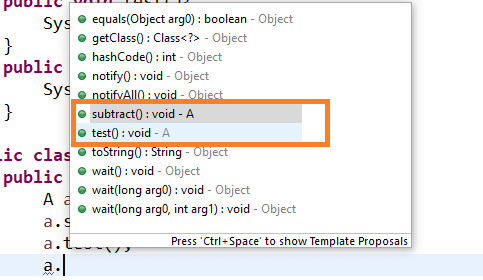 Once we upcast the sub class then only methods from the Super class is available for that object. 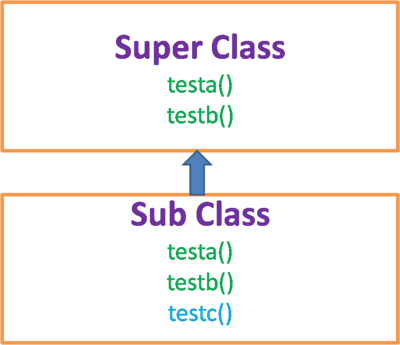 But if a sub class has any method which is same as Superclass method then super class method will be overridden by the sub class and sub-class method implementation only will work. We donot have subclass method in suggestions as well. I hope you know where auto-upcasting occurs in selenium webdriver, If you are not aware of it then auto-upcasting occurs in first line of the webdriver code. In above example we are assigning the lower level class object to upper level class/interface type. 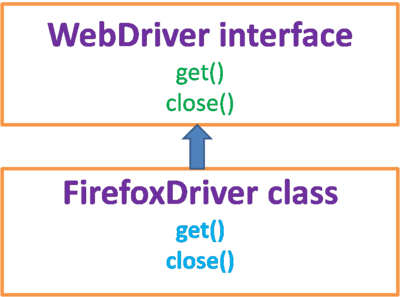 WebDriver is Interface and FirefoxDriver class extends the Webdriver interface, so in above example we are assigning the FirefoxDriver Object to Webdriver type. Down casting is nothing but converting the sub class type which is upcasted to Super class into sub class type, instead of performing the down casting we can directly create the object to sub class. For creating a down casting process, Upcasting is mandatory. "Donot you think instead of writing above two steps, we can write like below"